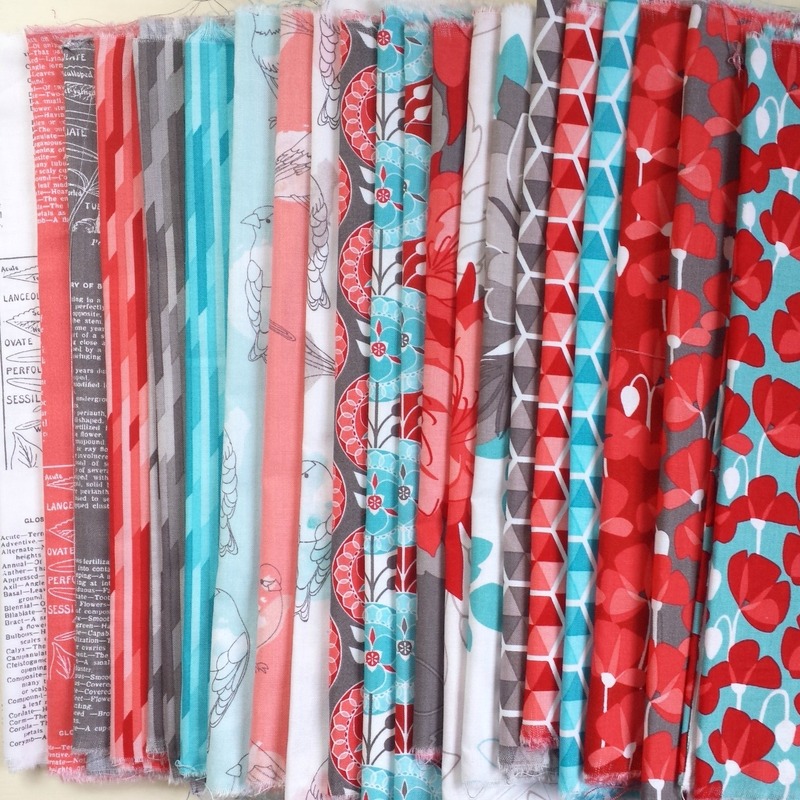 I have always loved Amanda Herring's fabric. She always seems to choose bright happy colors and such fun delightful prints- it would be hard not to. But I am lucky to say that she is also a dear friend and she is just as bright, happy and delightful as her fabrics. When she asked me to participate in her blog tour for Desert Bloom, I was thrilled and of course said YES immediately! With colors and prints like these, how could you not be thrilled? I have been working on some new bag patterns and decided to make one up in these gorgeous fabrics. 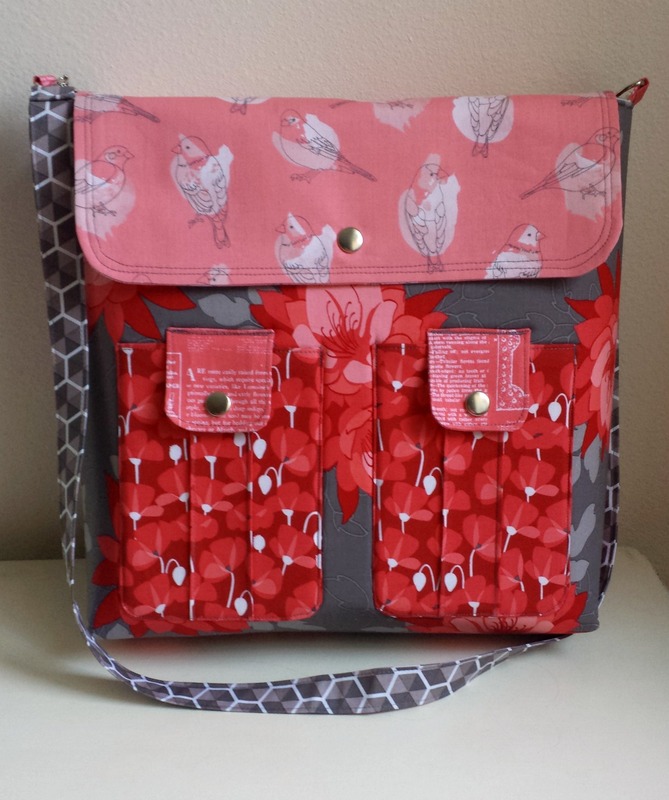 This bag features Pellon's new (at least to me) fusible foam interfacing which I loved. I also decided to overcome my unreasonable fear of installing snaps and use them to add some details and function to this bag. There are definitely some things to work out with this bag, but overall I am really happy with the shape, size and especially the overall body the interfacing gives this over-the shoulder tote. I just have one question (well actually, two) How many pockets do you like in your bags? 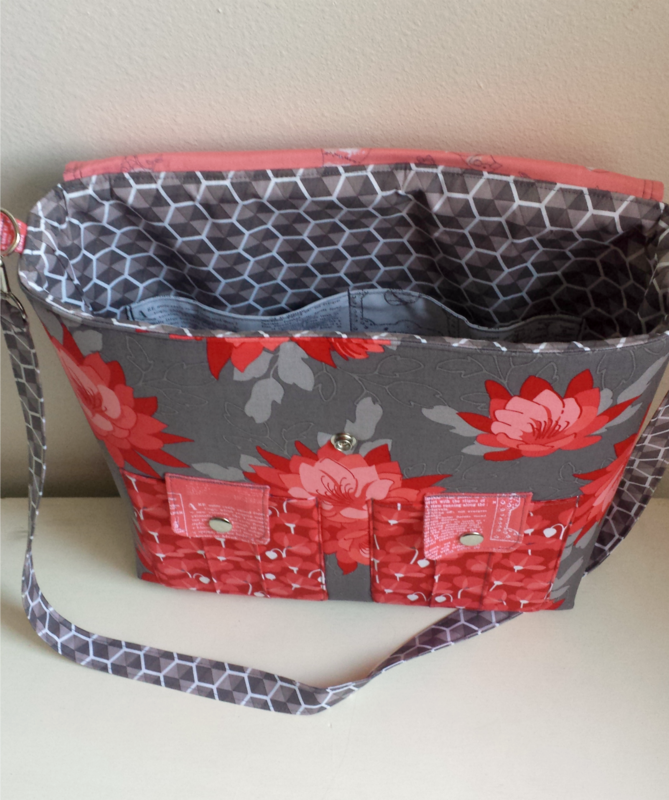 I tend to add tons of pockets, but this one only has four and I kind of like the simplicity of it. If you want to see more gorgeous projects using this beautiful line, check out the other blogs on the tour through Amanda's blog post. Gorgeous prints, and a beautiful bag. I like external pockets for my keys, cell phone, chapstick, and water bottle. Inside I don't mind if it doesn't have any extra pockets for stuff beyond the zip pocket most bags contain. I have one of those purse organizers that work well to help keep things upright/contained. I like my bags simple, one zippered pocket and one just quick drop the keys in type pocket.